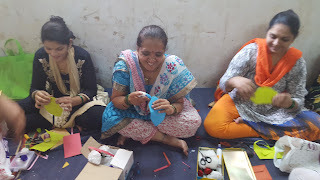 12-Jan-2018, Dharavi (Mumbai): The Don Bosco Development Society (DBDS) organized a paper bag making workshop for the SHG women from Dharavi slum. The workshop was held in collaboration with Brihanmumbai Municipal Corporation (BMC). 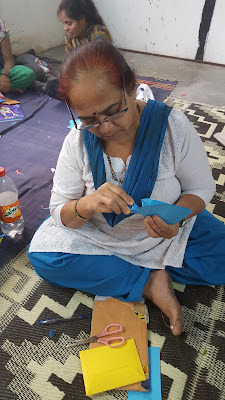 The duration of this course is 40 days during which the participants would be taught to make different items from paper. 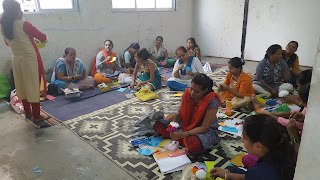 About 22 women participated in this training workshop. The focus of this intervention is to provide the sustainable livelihood to SHG members. 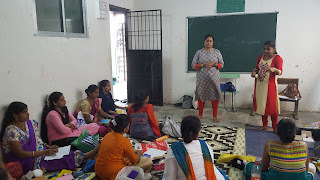 Ms. Surekha Pednekar (Coordinator - DBDS) in her speech encouraged the women to learn and get into commercial business with learning new skills. She also explained the entire course curriculum and the strict scheduled designed by BMC. 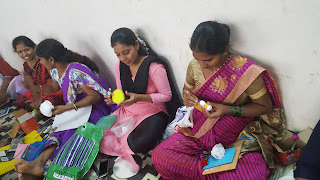 She also informed that apart from production skills, the participants would also be taught marketing, selling and management skills for their better income.